Logo development and creating a corporate identity is truly a collaborative process that allows me to work closely with a client to determine the look and feel of what they want to communicate when they present themselves. Making a corporation or outfit look professional is a worthwhile challenge. Large company or small, individual or corporation, logo development and corporate identity is "no job too large or small." 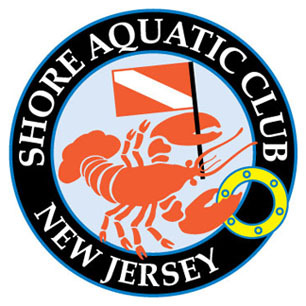 This logo was designed for the Shore Aquatic Club, a social club of scuba divers based in New Jersey. 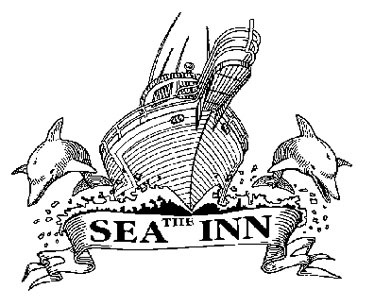 The logo depicts a lobster, a divers down flag and a porthole. It is currently being used in club literature, caps and polo shirts. It's even being used on the face of a watch! 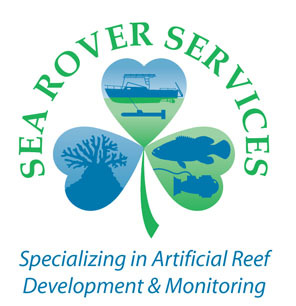 This logo was developed for a dive charter boat captain. It was used on business cards, letterhead and polo shirts. This logo depicts the specialized services of an outfit located in Florida. Clockwise, the petals of the clover show living coral, a boat-towed sensor, and a fish and an ROV (remotely operated vehicle). The logo is used on letterhead, business cards and clothing.